What do Eric Berry, John Salley, Tara Reid, Devon and Leah Still have in common? 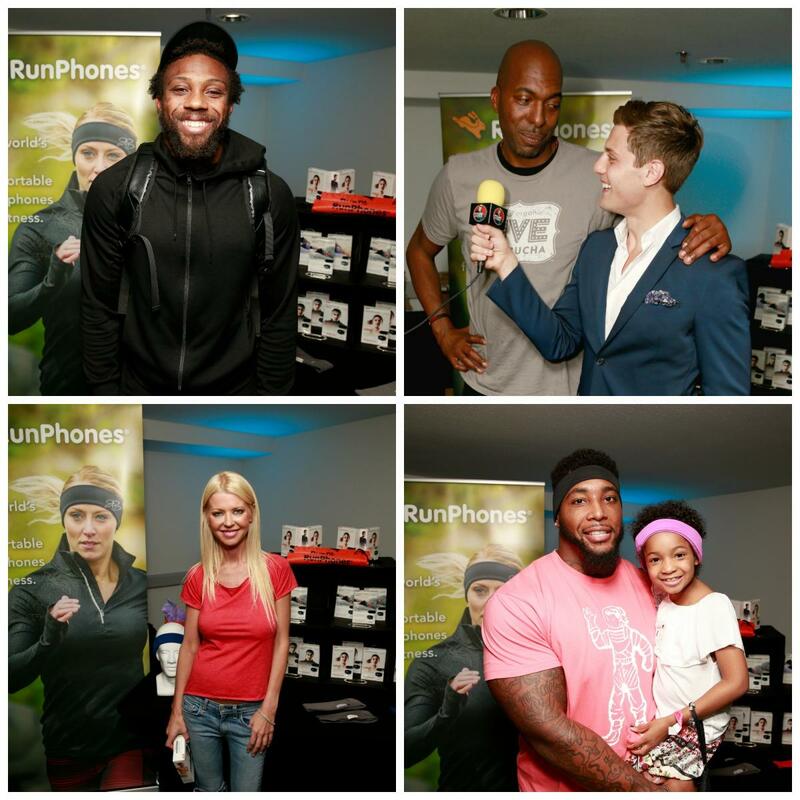 They all recieved a pair of RunPhones at this year's Pre ESPYS Gifting Suite hosted by GBK in Los Angeles, CA. On the afternoon of July 12th, America's best athletes and celebrities gathered at The Line Hotel in Koreatown to recieve goodies from companies and brands coast to coast. The RunPhones team, comprised of just two (Megan and Alyssa), was in attendance among the 23 other companies hoping to rub elbows with the elite athletes and gift them with our innovative headphones. For being our first time attending such a posh event, we were pleasantly surprised with the attendance, the location of our table and the down-to-earth personalities we met throughout the day. Upon arrival, we were handed the "tip sheet" - a document which housed all the confirmed celebrities for the day; pretty much the golden ticket in our eyes. Such names included Neil Everett, Sportscaster and anchor at ESPN, Curt Menefee, host of NFL FOX Sunday, and even Tara Reid, America's girl-next-door from the '90's and Sharknado's leading lady. In addition to our RunPhones duo, we had some back up, provided by GBK to help us interview, photograph, and record the stars as they tried on the world's most comfortable headphones. After a few practice runs, we were running like a well-oiled machine. RunPhones host, Ben Bateman, was our leading man for the day and interviewed the athletes and celebs on camera (he was a life-saver if you ask us!). Alex was our videographer and director, making sure we had all the great angles and shots possible. Megan DeMarco was demoing the product with the athletes and we must say, the look on their faces was priceless when they heard the sound quality! Tanner was our own personal photographer and Alyssa Pelinsky was our social media correspondent. After 8 hours demoing the products at the suite, we had met roughly 50 ESPYS nominees, athletes, celebrities, TV personalities and hosts. Whew. What. A. Day. All in all, RunPhones made quite the impression on the people in attendance. Heck, even the brands and booths next to us were impressed with our products. Hats off to a great first time attending a Pre ESPYS Gifting Suite! For the full list of those in attendance, please visit our flickr album to see all the athlete and celebrity photos! For the one on one interviews, check out our video on YouTube!